From 15th Nov. 2010 to 19th Nov 2010, We had a great week with Windows Azure Core Team member Mr.Patrick Butler Monterde and Mr.Rishi Agrawal trained exclusively NCS Architects. Day 1: Developing Applications for the Cloud on the Microsoft Windows Azure™ Platform. Day 2: Moving Applications to the Cloud on the Microsoft Windows Azure™ Platform. Day 3 & 4: Azure Advanced Applications – Make it real! First day training was very different from traditional method Patrick kick start with assigning project from each team and explore more about Windows Azure, Windows Azure Storage, SQL Azure and AppFabric and present the understanding on each topics. That was wonder experience and learn with fun. Second day Rishi share with us upcoming features for Microsoft Sync Framework on SQL Azure. After tea break Patrick come with real world scenario that he implemented using Azure and assign team to work on solutions and present the pro and con. finally Patrick share with us his actual solution. This session was very intensive and helps to apply the learning on the spot. Selecting the most suitable architectural implementation. Designing and implementing Windows Azure solutions. Presenting and justifying your selection. Component-Level Architecture for Windows Azure that will address the scenario at hand in a complete manner. Class-Diagram outlining the relevant interfaces, class structure, methods and properties that will be implemented for the solution. Code Sample must be created demonstrating one area of the proposed solution. and forth day each team created a short presentation and share about the factors you considered tools you used to help your selection, any resources you found, and conclusions. When each presentation completed Patrick shard with us the real application Architecture of each application and the customer name. Is cloud computing still a foggy concept for you? Have you heard of Windows Azure, but aren't quite sure of how it applies to you and the projects you're working on? Join your Microsoft Developer Evangelists for this free, all-day event combining presentations and hands-on exercises to demystify the latest disruptive (and over-hyped!) technology and to provide some clarity as to where the cloud and Windows Azure can take you. The cloud base Microsoft Office 365 combines of Microsoft Office, SharePoint Online, Exchange Online and Lync Online. There are two editions of Office 365. Office 365 for Small Businesses is designed for organizations of one to 25 people. It’s a pre-built package that includes Office Web Apps, Lync, e-mail sync and more. It doesn’t require IT support on the user’s end and will cost $6 per user per month. The second version is Office 365 for Enterprises. Unlike the small business version, the enterprise edition can be customized based on an organization’s needs. It can be customized so different teams have different access levels to Office 365’s features. The enterprise edition comes with everything in the small business version, plus single sign-in, Office Pro Plus (via subscription), internal social networking tools, voicemail in the inbox, and more. It costs anywhere between $2 to $27 per user per month, depending on which features the company chooses to utilize. Wonderful day guys… South East Asia SharePoint Conference 2010 is begin today more than 500 delegates attended the 1st day event. Keynote speaker Mike Fitzmaurice has shared how did SharePoint started and how it becomes center of the universe. Interestingly he use most of his presentation with simple picture and talk about SharePoint history. (By mistake his photos listed list of speaker from USA, he pointed out that he not an American and he is Canadian) His shown as the first SharePoint Conference WF T-Shirt. Virtualization of SharePoint 2010 Farm Architecture session by Michael Noel who is author of SharePoint 2010 Unlashed book he share above topic how organizations can begun to replace physical servers virtualizing the SharePoint Web Front end server, Index Query server, Service Application Server and Database server. During this session he share lots of tips and trick about virtualization. SharePoint 2010 : Developing with Data Technologies session by Randy Williams my favourite local speaker and one of the organizing member for South East Asia SharePoint Conference. He shared about how developer can use various Technologies retrieve / update / delete data from SharePoint. In this session he focus on CAML vs LINQ to SharePoint and dive in to LINQ to SharePoint demo. He also explain about REST API and finally talk about Client object model. His session was bit drag due to delegates questions and answers mainly on Permission and exception handling on Client object model programming. Sorry Randy I don’t take photo of your session I was looking at your demo and presentations. Developing Web Parts in SharePoint 2010 by Ishai Sagi who is author for SharePoint 2010 How To book In this session he sharing his experience about developing webpart with SharePoint 2001 with VB scripts and how much Microsoft improve in SharePoint 2010 on Visual Web Part development. The important thing he share about common mistake developer make while developer developing web parts. He also demo to us AJAX visual web part and Sandox Web Part development for SharePoint online (Cloud). He giveaway two prices. SharePoint 2010 How to book and MSDN Subscription worth of $8000. Playing with Sanbox by Wictor Wilen my favorite blogger I regularly following his post resent one his Visual guide to Windows Live ID authentication which very good most people talk about this on community. It is great opportunities to meet him face to face in Singapore. I took a photo a with him. During his session he was talking about Sanbox solution. So for I don’t see many people talk about this because of scare. He just start general introduction and how it will work. He also discuss and show how to overcome the limitations in the Sandbox solution. I am happy to know that his SharePoint 2010 Web Parts in Action book will available on Print soon. Currently he offer 40% discount for e-book. He give away MSDN Subscription worth of $8000. Why code when you can click and build SharePoint 2010 applications using InfoPath 2010, SharePoint Designer 2010 and Visio 2010! Session by Alpesh Nakar that was full house no place to sit I was standing 1hr to see his demo and presentation. Somehow the feature that he was going through was not existed to me. (Since I was using SharePoint 2010 beta 1 and did same kind of presentation two times) But I notice that the delegates loved his presentation and posted questions to him on SharePoint workflow and SharePoint Workspace. Overall the day one was good… Looking forward Day 2 sessions. Recently i come across the following blog post What You Need and Want With Windows Azure Part I and What You Need and Want With Windows Azure Part II which talk about Basic requirements of Windows Azure start up. The following post provides you details How to create a custom Document ID provider for SharePoint Server 2010! The namespace Microsoft.Office.DocumentManagement contains a class called DocumentIdProvider, which will be the base for our upcoming project! Recently i enable Document ID future in SharePoint 2010 when i click Settings -> Site Collection Administration – Site Collection Administration to Document ID settings link i got following error how to resolve it. Go to central admin, Service on Server and make sure that SharePoint Search service is running else enable your Search service. System will show the Document ID's setting screen. Document ID's is new future in SharePoint Server 2010 which provide you the ability to tag documents with a unique identification number. I remember few of my clients have done custom solutions take care of in SharePoint 2007. With this new feature, you get all the required functionality to tag documents with unique identification numbers based on a specific pre-set formula with a custom prefix. Using Microsoft.Office.Document Management.DocumentIdProvider to add custom Document ID provider. Beside enable above function you need to run following timer jobs so that system will assign the Document ID immediately. Recently I have downloaded and view following 2 videos which enlightening and I am assure that the time that you are going spend will worth it. · The Future of IT – an interesting session and which creates fear that what would happen with changes in technology. With faster pace of IT development these days and its ability to transform our society, it is time to look at the trends, disruptors and potential outcomes that IT brings to us in next years. We'll touch the transformation of IT and its impact on business, education, governments and other pillars of our society. · High Impact Decisions – A necessary skill to grow in any direction! an wonderful session needed by both developer and architect was done by Ranganathan S. Decision taking is influenced by information one has, challenges one face and the knowledge one possess. Information can be fact or assumption. Fact can be stated or unstated. Assumptions can be reasonable or unreasonable. challenges can be Fixed or Changing. knowledge can be accessible or inaccessible. One of the SharePoint 2010 cool feature is Ratings, When you enable Rating setting from List Setting system prompt following error, this article explain how to resolve it. No User Profile Application available to service the request. Contact your farm administrator.No User Profile Application available to service the request. Contact your farm administrator. Go to Central Administration > Services on Server > Ensure that User Profile Service is Started ? Go to Central Administration > Manage Service Applications and Select User Profile Service and Go to Application ribbon and click the Administrators button. When you click Administrators button you will see below windows Select username and assign Full control under Permissions, now you go and enable Rating Setting you will not get above error. Go to Central Administration – > System Settings and Click Manage Service on Server. Ensure that Manage metadata Web Service is Started…. if not click start and do iisrest you will able to raid about error. Have you registered for the SharePoint Conference yet? An opportunity like no other in your region, and you're invited. Two days. Over 40 sessions. All for the Early bird price of SGD$300! This is is the conference to learn about SharePoint 2010 with expert local and international speakers presenting on topics that will help you understand and succeed with your SharePoint implementations and add real value to your organisation and businesses. In addition to the session content you'll have ample opportunities to network with your peers in the community and technical and industry experts including local and international Microsoft Most Valued Professionals and Southeast Asia's top Certified Partners. Don’t miss out on Southeast Asia's biggest SharePoint event of the year! Grand Copthorne Waterfront Hotel, Singapore, October 26 and 27 2010. Group Registrations for 5 or more participants are available and will receive a 20% discount. Please note the person arranging the Group Booking (Group Leader) is responsible for all credit card fees and agenda updates for all people registered in the group. Group members cannot individually update their agendas. Early Bird Registrations of $SGD300.00 will apply to the first 275 delegates who register. Regular Registration fee is $SGD400.00. Listing customization on Info path. My both sessions going be to full of demo rather then normal talk, so please join if you are Penang in Malaysia see you there. A complete listing and description of the 44 code samples currently available in the SDK can be found here on MSDN Code Gallery: http://code.msdn.microsoft.com/sp2010sdk. 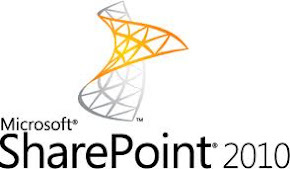 SharePoint is one of the fastest selling products from Microsoft. Yet it still causes IT and users problems with scaling usability, performance and operations. Find out more by understanding the underlying architecture and what remediation can be done. Refreshments will be provided, courtesy of Microsoft Singapore.